James Augustus Jobling bought the business of Greener and Co, after it had run into debt. 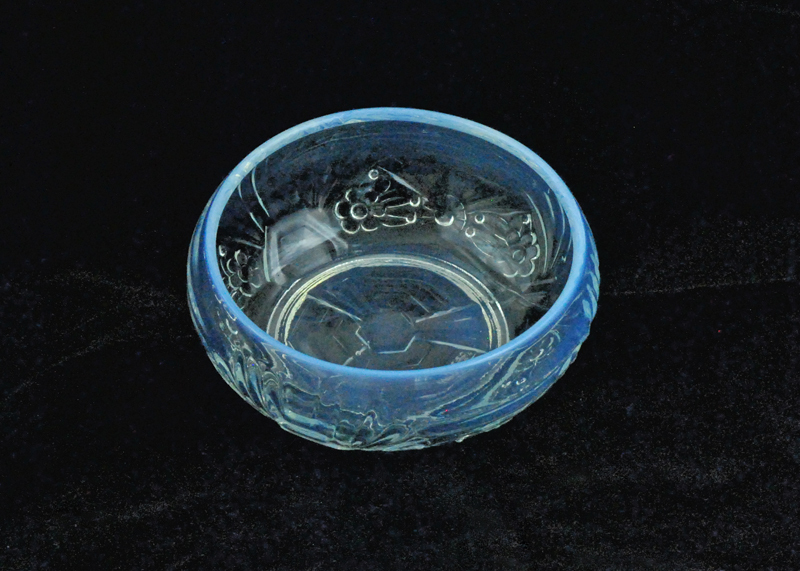 It became a limited company in 1921. 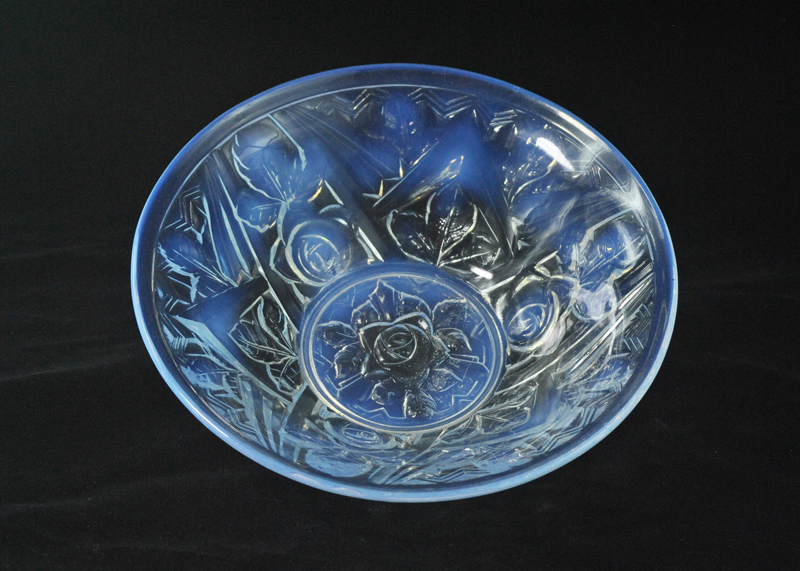 In 1922, it was the first English firm to make Pyrex, under licence from Corning Glass Works, New York. 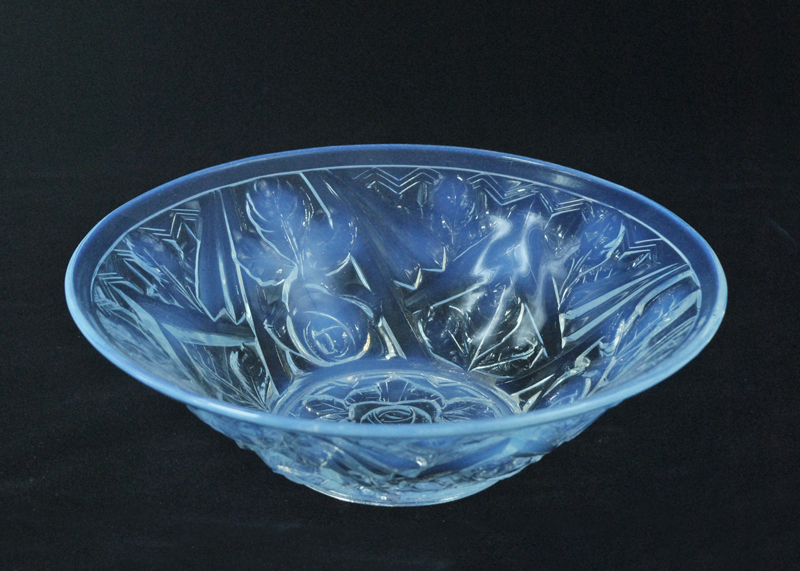 About this time they produced a coloured glass which they registered as “Jobling’s Opalique” which has a resemblance to Lalique, but production was short-lived. Jobling used a new trade mark, that of the Jobling family. 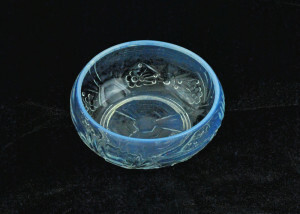 Small opalescent bowl. Rd 777134 1930’s. 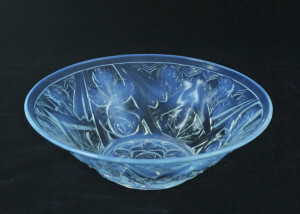 Large opalescent bowl, rose pattern. Rd 780719 1930’s.